The game is starting – the referee just blew the whistle. I am embarrassed, sitting here on the bench behind the basketball team all by myself, wearing my green and white cheerleading uniform. I cannot even look at my mom, because if I look at her face, I am going to just start crying. We just had practice after school yesterday. Everyone seemed so excited to perform our routine at half-time. What happened? Why am I the only one here on a Saturday morning? My mom leans over and whispers in my ear that we can go if I want. Most likely no one would care. But I do. I care. Sure, admittedly I joined the 8th Grade cheerleading squad because I would like to be popular. Actually, I would just like to fit in and not be an outsider. It has been a rough couple of years being an outsider. My best friend, who goes to another school, didn’t even invite me to her birthday party because she thought “I would not fit in”. Well, I am not going to leave. I am going to sit here for the entire game and I am going to cheer our 8th grade boys basketball team on, and I am going to follow through on my commitment. And I may pay for it on Monday. I always dread the gossip. It is Monday morning, and before I even go into my first period Core Class, I already know why the other cheerleaders were not at the game on Saturday morning. In my little green and white cheerleader outfit. Sticking out like a sore, green thumb. As I sit at my desk in first period Core, I cannot concentrate for the life of me. I am fighting tears with all my might, not wanting to embarrass myself, nor wanting to give away any indication that the gossip streaking through Jr. High this morning has had any impact on me. I keep going over in my mind what I could have possible done to offend these girls that would ignite such a cruel response from them. I barely make it to lunch time. I have already decided, as the lunch bell rings, that I am going straight to the office feigning sickness so that my mom will come and pick me up and get me the heck out of here. I need to come up with a plan to miss the rest of the week of school. Perhaps I will try sticking the thermometer up to the heater. The lunch bell rings, I leave the classroom, and head down the hall. Ahead of me, I see the entire basketball team gathered by my locker. The other cheerleaders are even gathering – they never miss an opportunity to be around these guys. My stomach is in my throat. What form of public humiliation lays before me now? They see me, I see them. Time to face the music. I walk up to my locker. He hands me a card, and another player hands me a huge bouquet of flowers. 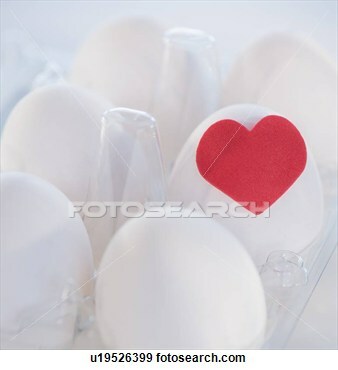 except one egg has a red heart on it. The entire basketball team had signed the card. And then they clapped, and each member hugged me. As we finished 8th grade, and transitioned into high school, the boys basketball team remembered that day and treated me well, acting even as protectors. Well, let’s just say they remembered that day as well. So beautifully written, Carrie. You are amazing for staying, I wouldn’t have been so courageous. What a great role model you are for those two sweet girls! Carrie, What a cruel decision those girls made. I suspect that they still remember it with embarrassment and regret. What a courageous girl you were–and are! This is a wonderful bit of writing. I wish that every girl in junior high school could read it. I hope that you send it to a girls’ magazine and that they publish it. Darcy, your comment is right on. I agree wholeheartedly and wish all young girls could read Carrie’s article. It’s a beautiful piece. Actually, it would be good for the boys to read this too, so they can make right decisions as well. Thanks, Carrie, for your fabulous article.